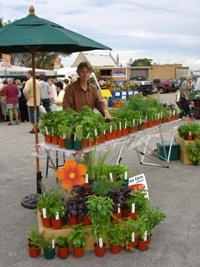 Our herbs are locally grown in hardy outdoor conditions. We use a compost based potting mix. Our range of culinary is available at the Albany Farmers Market on Saturday from 8 - 12 and at the nursery.